A number of agencies that are now a part of Preferred Family Healthcare have a rich history of providing employment services. Under the PFH umbrella, Preferred Employment Services is currently helping individuals in Missouri and Kansas as they seek employment. General Population - Employment for the general adult and youth population typically through Workforce Partnerships located at a local Missouri Job Centers or its counterpart. 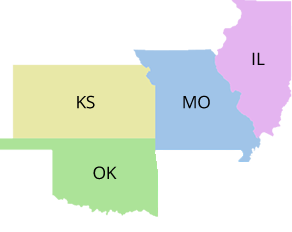 The Missouri Division of Vocational Rehabilitation. Employer - We can assist Employers in finding their next great employee. They have given me the confidence to try new things like get a job, get a car and be independent. I never thought that would ever happen. If you are looking for a Career within Preferred Family Healthcare or one of its subsidiaries, please visit our Careers page.